“South” Erin Mills is located south and east of highway 403, north of Dundas St W and it’s eastern boundary is the Credit River. Erin mills was a master planned community and the stereotypical ‘suburban dream’ of the 1970’s. 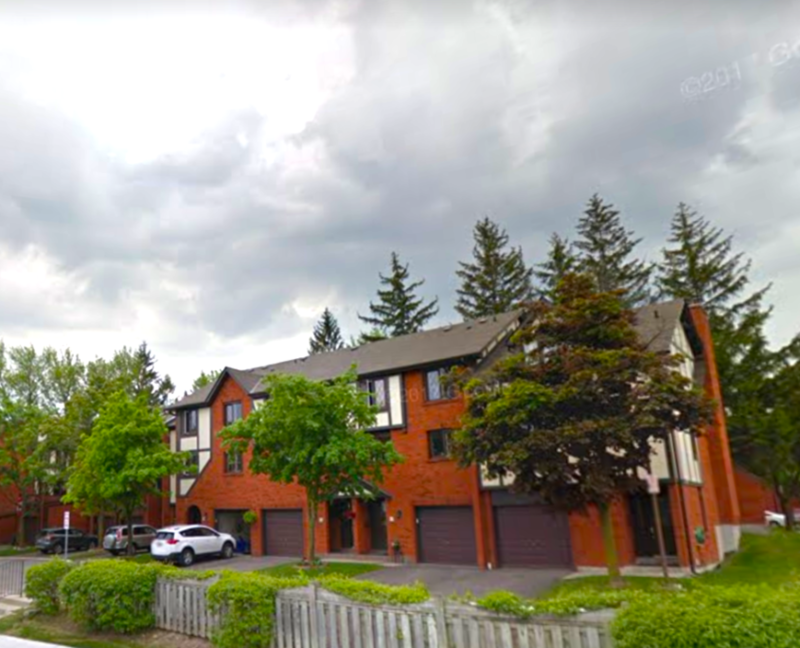 Having grown up in Erin Mills, I can tell you that the major attraction of Erin Mills is its central location, proximity to amenities and transportation links. 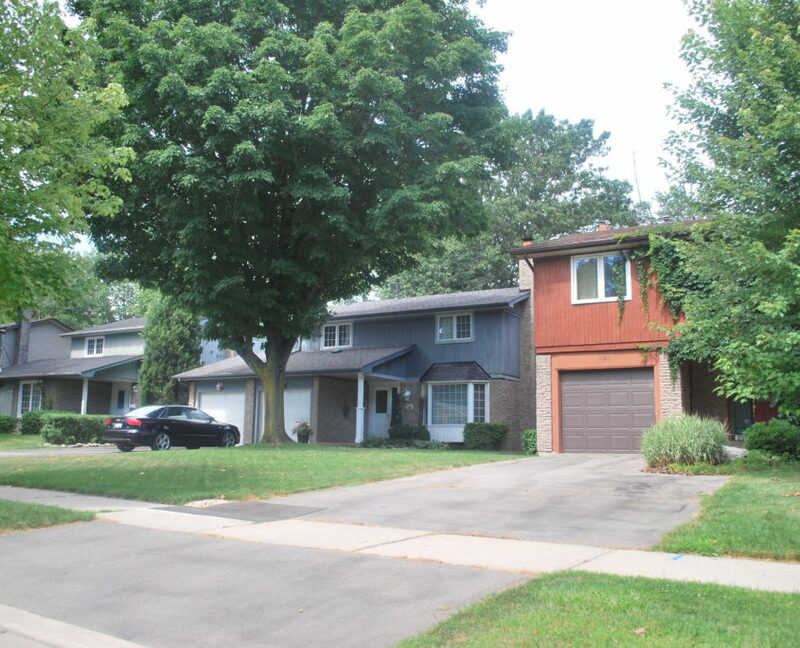 Erin Mills was built in several phases during the 70’s and 80’s, and you can see 4 distinct sub-neighbourhoods. Pheasant Run, Council Ring and Sawmill Valley were developed in the 1970’s, and west Erin Mills during the late 1980’s. In the 1970’s, Mississauga placed a high value on nature and path systems, and like Meadowvale further north, in Erin Mills you will find more outdoor paths and trails then anywhere else in the city. 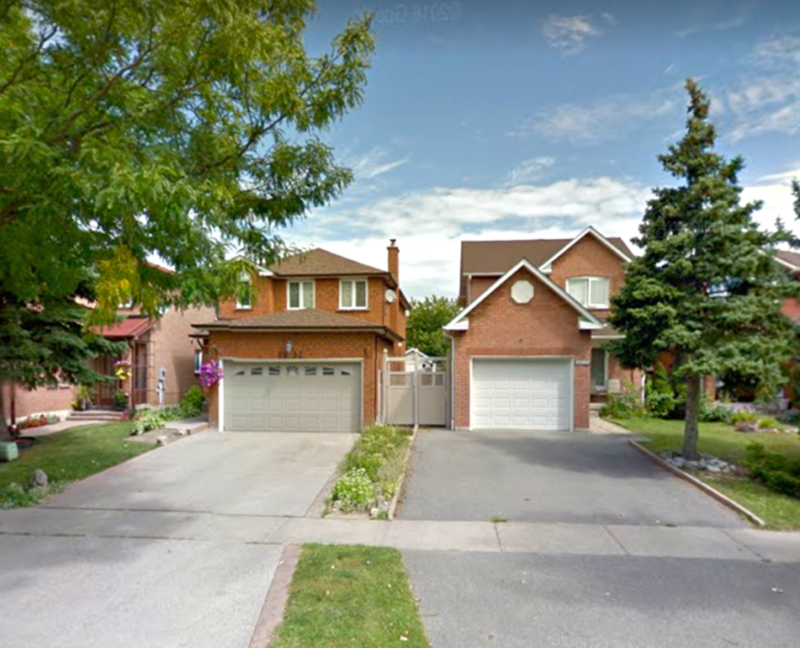 In the 80’s, the development focus switched to the homes themselves, so in west Erin Mills you’ll find large all brick homes with more bathrooms, but relatively smaller lots and less paths and green spaces. Note: Click here for Central Erin Mills, the newer community north of highway 403. The are 4 areas that comprise South Erin Mills. Council Ring & Pheasant Run were designed for middle class families, with a mix of semi’s and smaller detached homes. 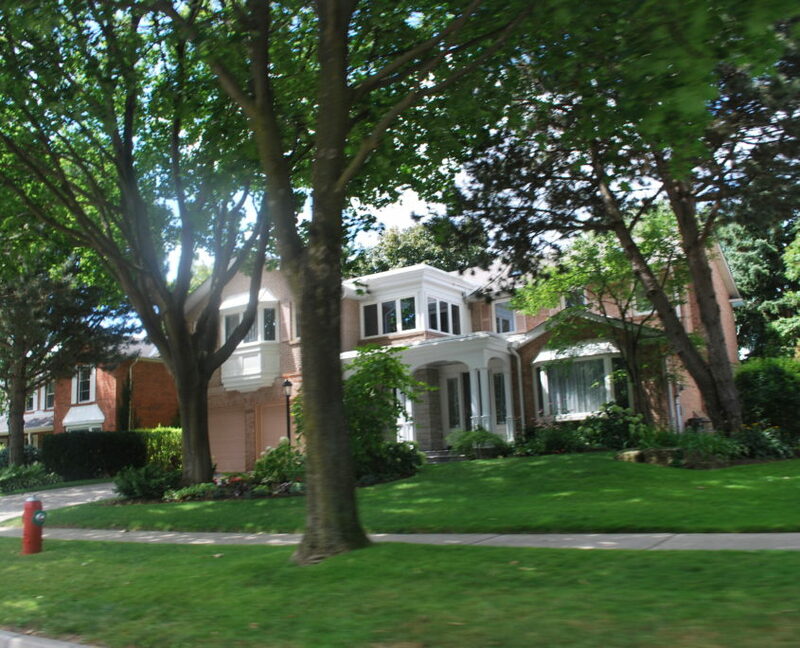 The Sawmill Valley/ Bridlepath neighbourhood and West Erin Mills was designed to be more prestigious, with mostly large brick homes. Real Estate in Erin Mills and the prices can vary greatly depending on what part of the community interests you. 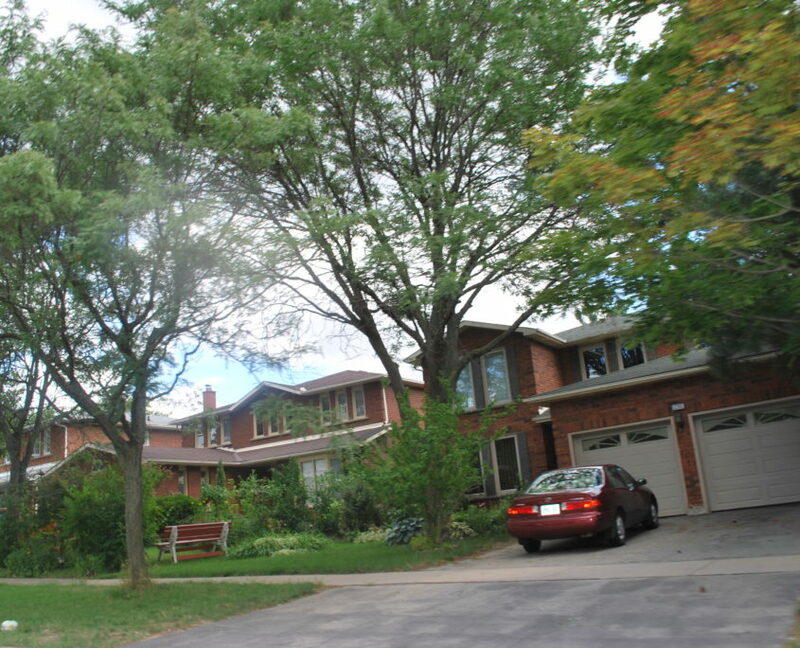 The 4 areas of South Erin Mills vary greatly, from upper class families to the middle class and working class families. Some areas of Erin Mills have a higher proportion of multi-family dwellings, which is not always what the single-family buyer wants. 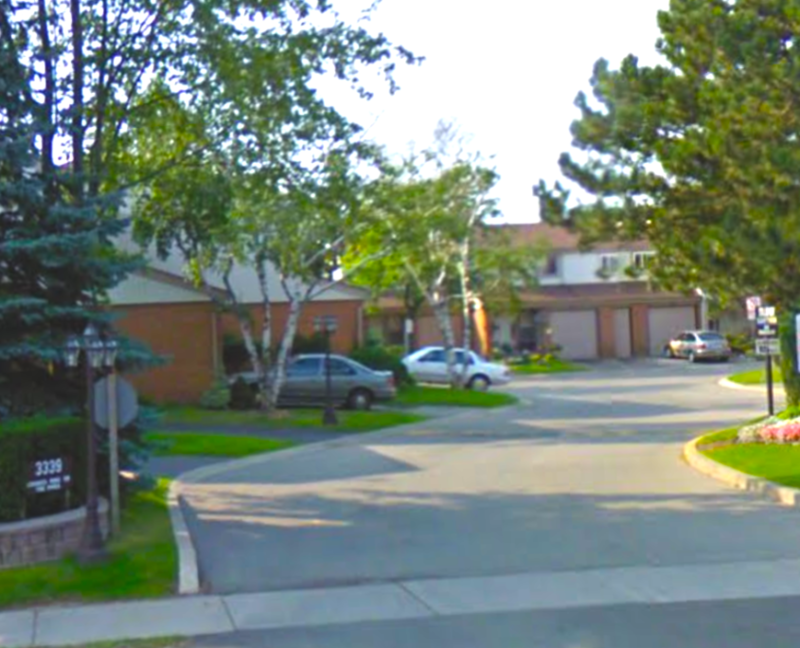 Your neighbours vary greatly in each sub area of Erin Mills. Due to the 4 distinct sub-villages, you have a wide variety of housing, from apartment high rises, town homes, co-op’s, semi’s, detached and executive luxury homes. During the 70’s, affordable housing was a social priority, and big cities like Toronto and Mississauga were prioritized for supplying the need. Every neighbourhood in Mississauga that was build in the late 60’s and 70’s have its fair share of high rise apartment, co-ops and complexes. This demographic mix of classes and population is a true staple of the community, and so if you are looking for a more exclusive community like Lorne Park, Erin Mills might not fit the bill. 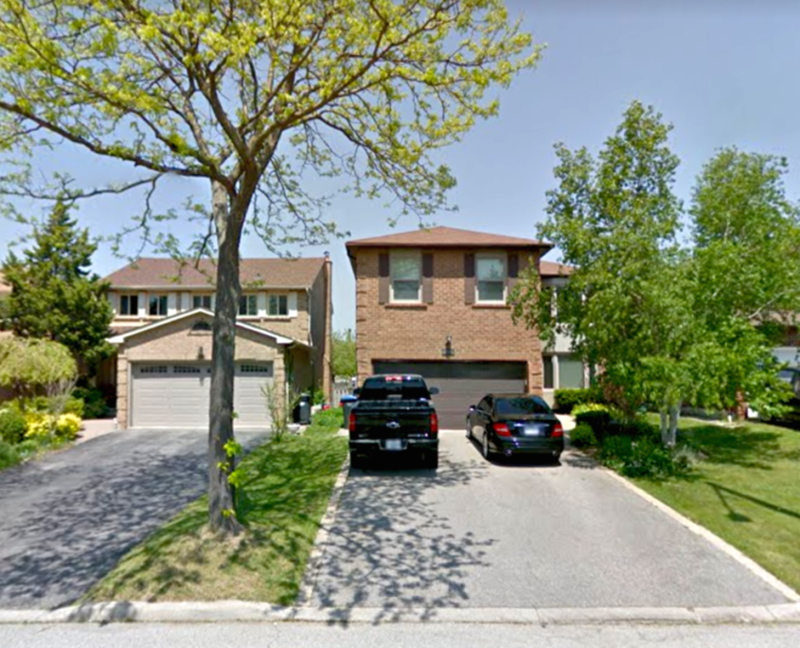 However, Erin Mills offers both a higher density urban feel as well as quiet estate living, depending on the sub-neighbourhood you are looking in. Because of this mix, prices vary widely, and reflect the relative demand of the area. 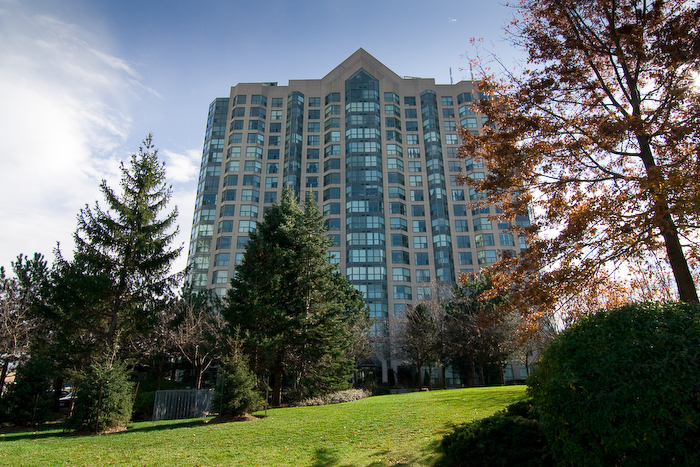 Erin Mills has two high rise condo’s that are worth noting, because these condos offer a higher standards of security and amenities. Perfect for down-sizers or those who value a higher security presence, these units don’t come up for sale too often. 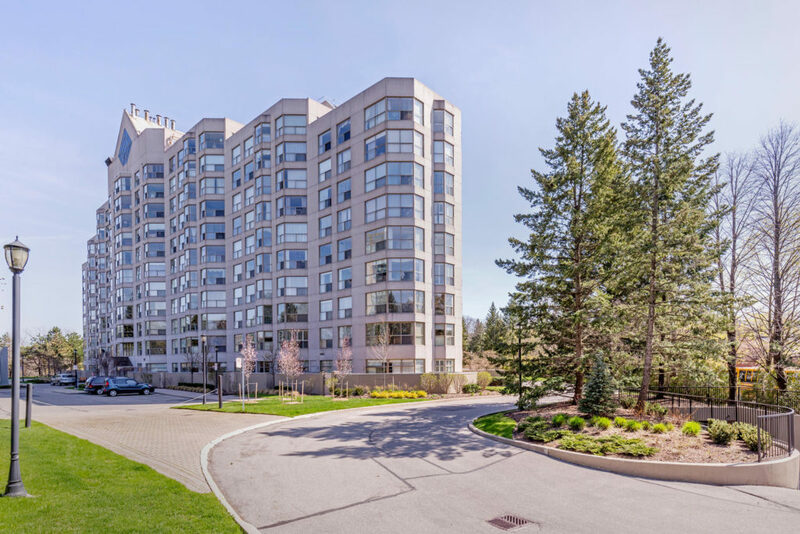 Eagle Ridge is located at Burnhamthorpe Rd and Glen Erin, and has a gated entrance, large pool, gathering rooms and bright, spacious units up to 3 beds. Canyon Springs is located at 1700 the Collegeway, and also has restricted entrance with security guards, and also offers large units, pool, clubs and meeting rooms. Yes, the condo fees are higher, reflective of the superior staffing and amenities. Click below to learn more. 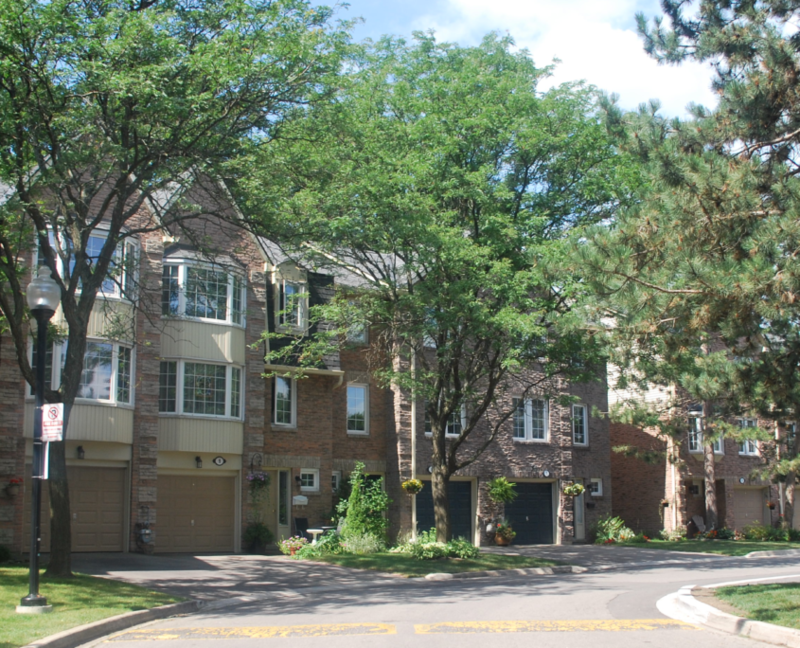 Erin Mills has many condo town house communities which offers buyers a lot of variety. It offers the best opportunity for buyers to step onto the property ladder if you are not interested in a high rise condo. Most condo fees range from $260-$450 a month but what those fees cover can vary from complex to complex. Due to their age, there is often opportunity to build equity by making smart cosmetic upgrades if your plan is to “sell-up” in 3-5 years. These areas have a large proportion of semi-detached homes, as well as detached homes along the main side roads and some courts. 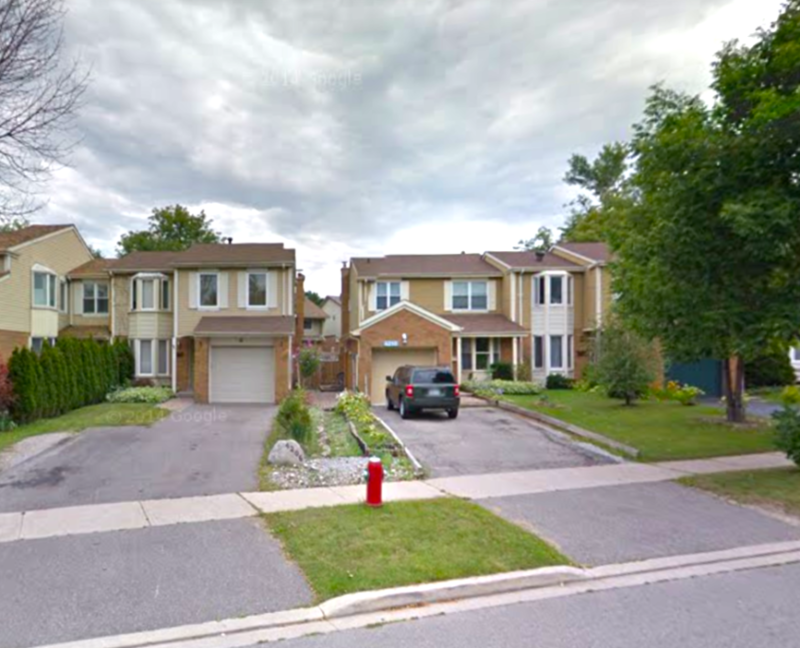 Many of the semi-detached homes in South Erin Mills are a very good size, relative to new builds. There are many 4 bed semi detached homes that are in the 2000 sqft range. Many have been modernized and landscaped as the area matures, which has increased the area’s value. However, there is still ample opportunity to add value by finding a “fixer upper” and doing smart cosmetic upgrades if you are planning on staying for at least 5-10 years. Due to the interconnected path system, many of these homes have premium lots backing onto green space or parks. 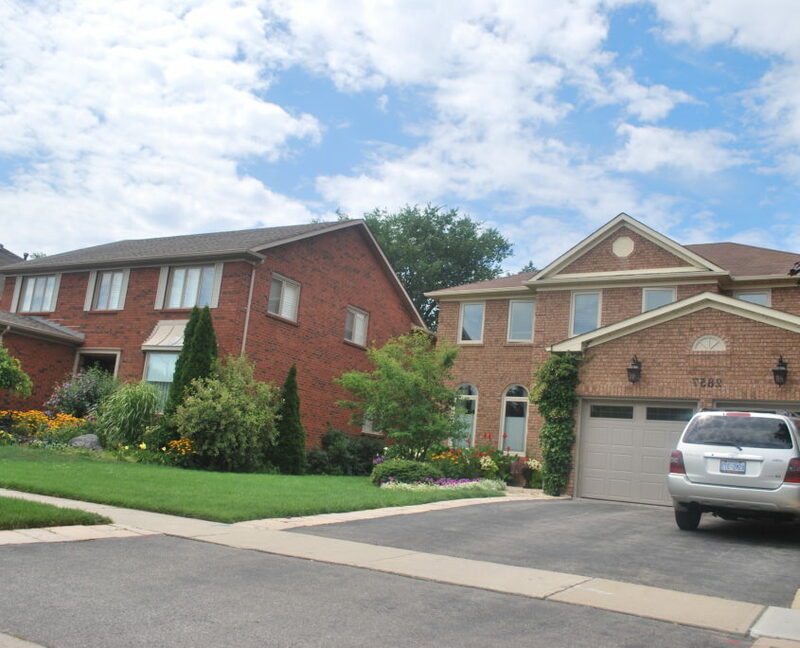 This is the crowning Jewel of South Erin Mills, with large family homes and Executive homes that are on wide lots and have beautiful curb appeal. This is one of my personal favourite areas of all of Mississauga. In Sawmill Valley, there are also a good number of smaller detached homes, semi’s and townhomes that allow young families to get a foothold into this premium neighbourhood. Wet Erin Mills was built predominantly in the 80’s, the last development of the area. It was built much like the soon-to-be constructed Central Erin Mills, with very large brick homes intended to make a formidable impression. Sweeping staircase, extra bathrooms, and formal entertaining areas became standard in these larger homes. The lots are smaller, and the backyards can feel tight relative to the size of the home. You will see some streets with beautiful curb appeal, and some streets where the landscaping and maintenance of the homes is lacking. It’s best asset is its proximity to shopping along Dundas and the highways. As with much of West Mississauga, South Erin Mills delivers an abundance of trails and parks. There is a large interconnected trail system which links the majority of streets and parks together, as well as over 5 community parks. 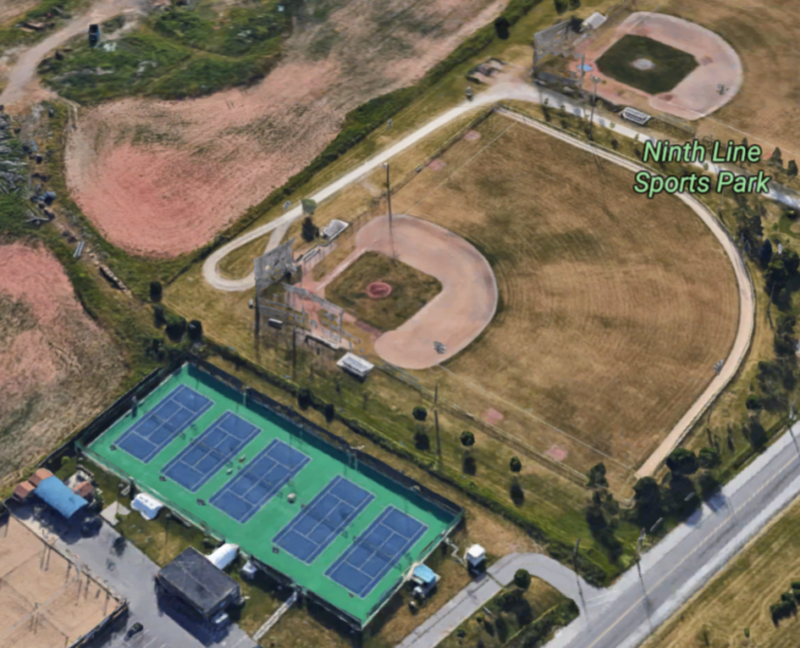 Erin Mills also has the Community Centre & Library, Sawmill Creek Trail, and various sports and athletics facilities. The Glen Erin Inn is the finest of Erin Mills’ amenities, and there is also South Common Mall and various small plaza’s that offer all of the usual franchises and box stores. 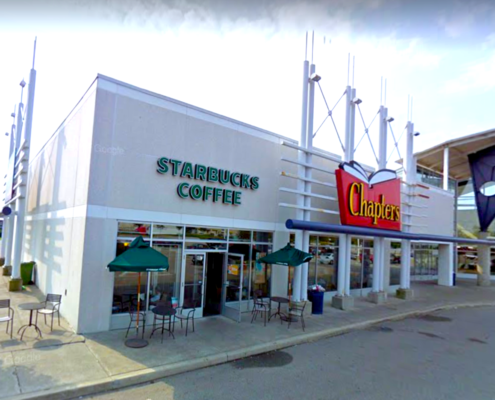 Dundas hosts several large shopping complexes, including the auto mall and a large gallery of independent and small home improvement shops. 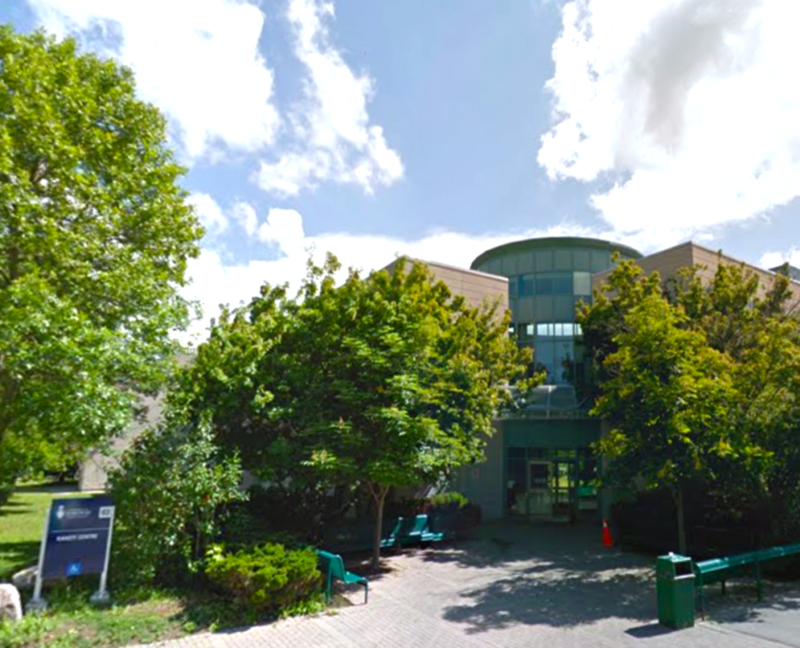 The pride of Erin Mills is the University of Toronto Mississauga Campus, which continues to grow in programs and recognition. It’s a picturesque campus with a mix of historical and modern structures. 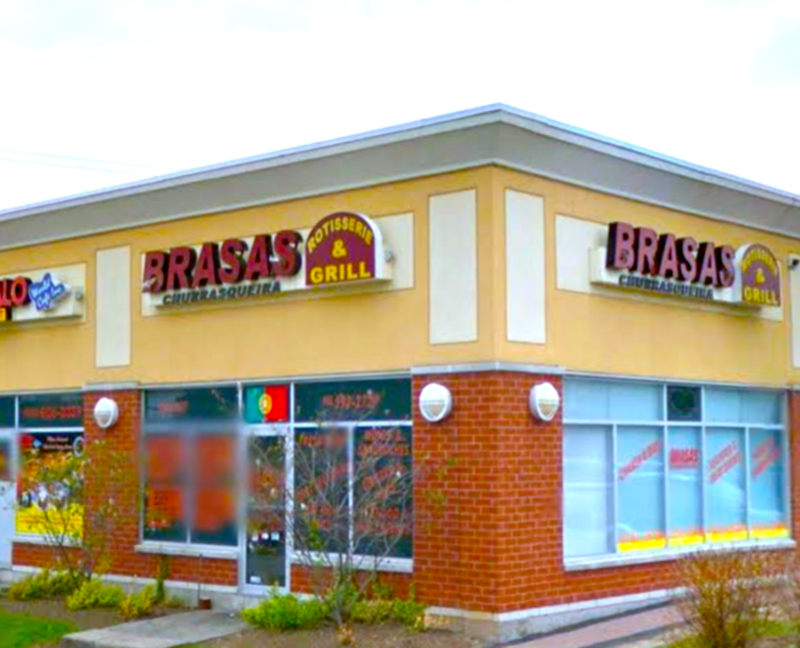 The vibe of Erin Mills is of a sleepy, mature suburb. With easy access to shopping and amenities, it is an excellent choice for people who need to commute but want to live outside of the hustle and bustle. 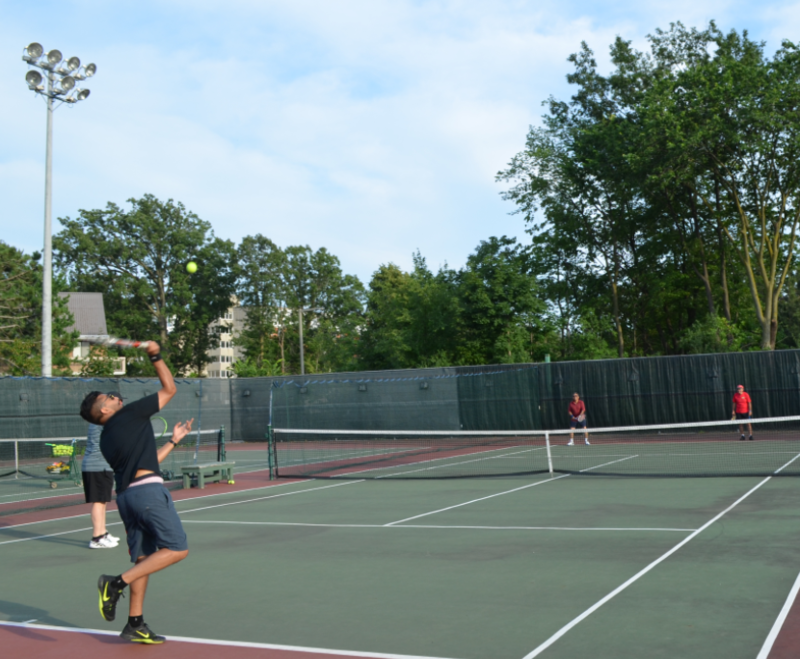 If you enjoy an active lifestyle, Erin Mills is an ideal location, full of paths, trails and facilities. 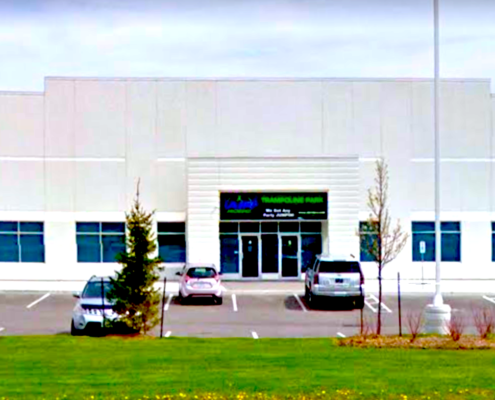 The Lifestyle Fitness Club sits proudly at the 403 and is far more than a gym, it truly is a lifestyle of fitness. With an indoor and outdoor pool, kids classes, spa, bistro, wall climbing and trainers, its an elite experience – for an elite price. Accessible to all residents is the Sawmill Creek Trail, which is almost 3km long itself, but connects to Erindale Park and up to Streetsville through the Culham Trail. 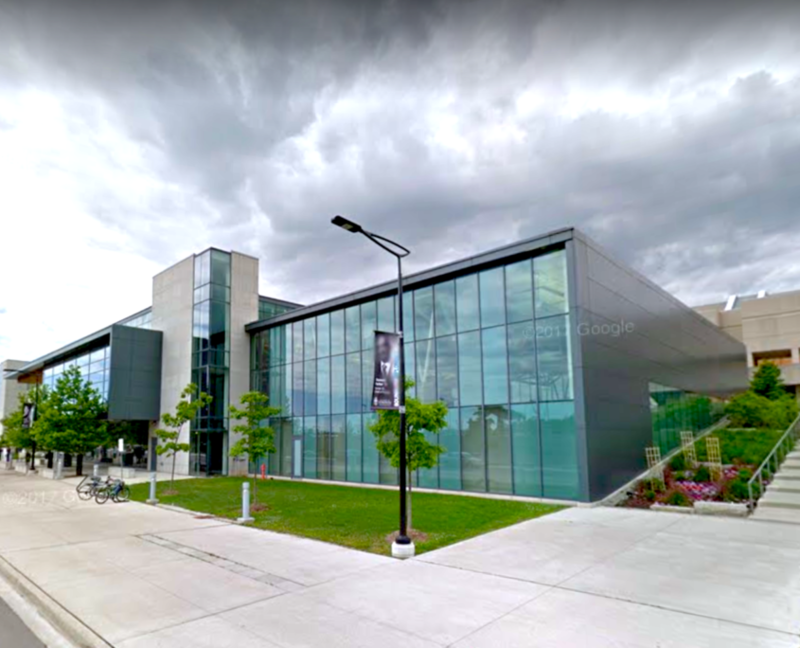 The South Common Recreation Centre offers a variety of fitness classes and facilities, including gym and pool. The University of Toronto Mississauga also offers swimming classes and athletic camps for children. 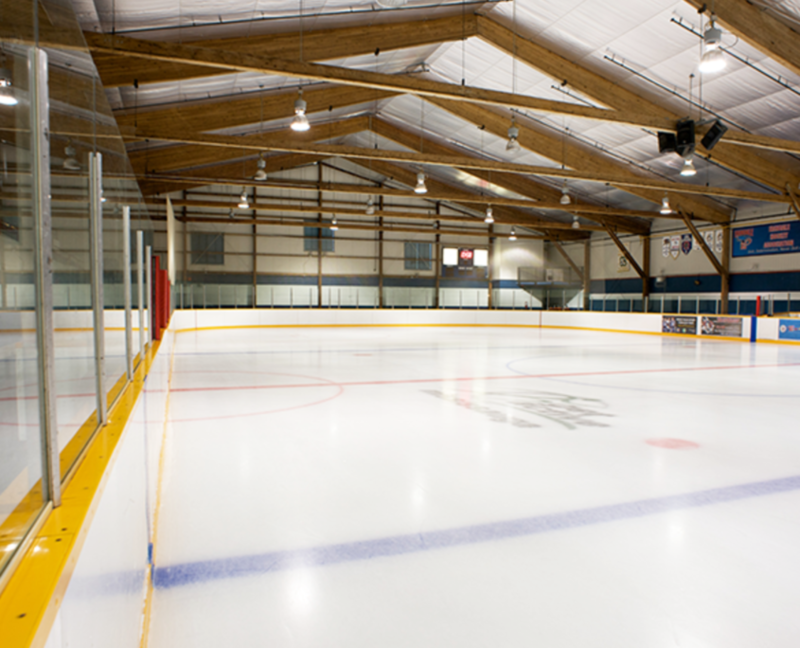 There is also the Ninth Line Sports Park, South Common Park, Erin Mills Tennis Club, Erin Mills Twin Rinks, Su Badminton Club, and much more. Accessing the City of Mississauga’s Connect2Rec System is a great way to see the hundreds of city run programs available to residents. If your form of recreation is shopping, then Erin Mills delivers. 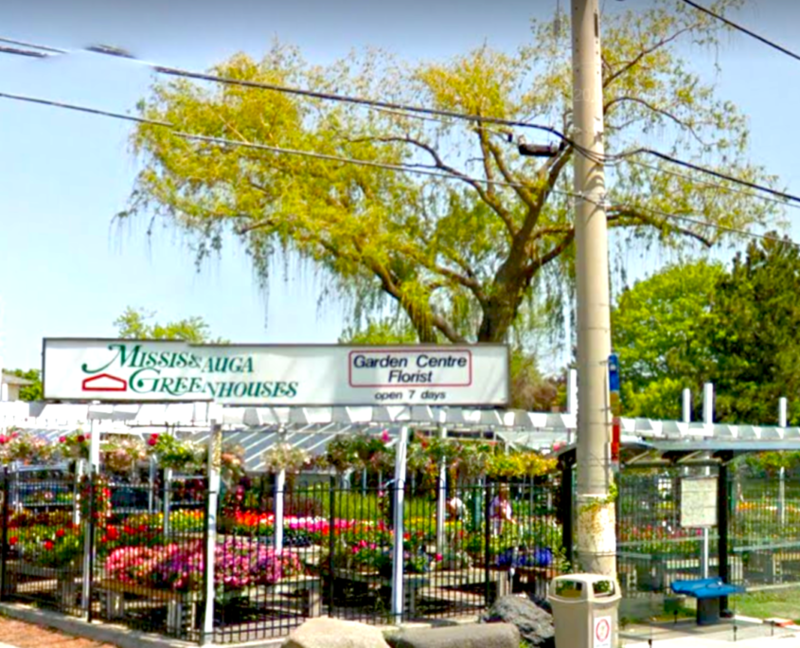 Yes, you’ll need a car; there’s no quaint little downtown like Port Credit or Streetsville, but it is easy to get around and get what you need. There is a nice mix between your usual box store staples, Franchises, and smaller independent stores. 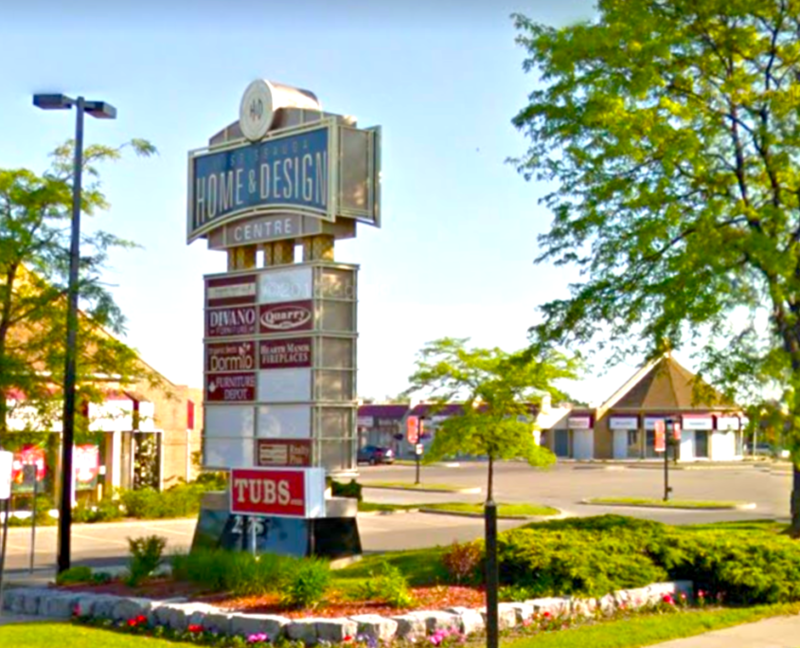 If you are into home renovation, no need to go to Vaughn, The Ridgeway/Laird area hosts many stone, tile, fixture and design shops. Being a designer and stager, my wife frequents this area quite often, always looking for new ideas and options. There is a Costco that seems to be busy every minute of every day. As long as you’re not in a rush, who doesn’t love a trip where you go in for milk and chicken and then come out with $400 of “we really could use this”. It’s a scary event in our house and only gets worse as our 3 boys grow older. 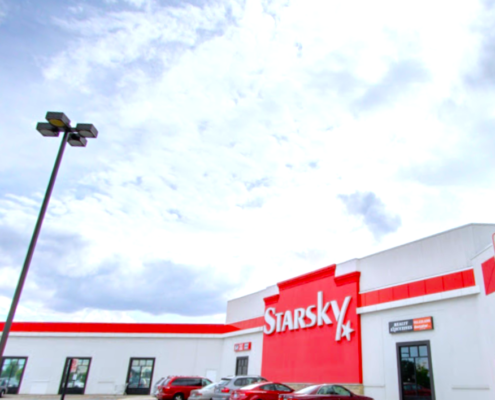 Another local favourite is Starsky Fine Foods, which has the best produce. There are also plenty of restaurants and unique shops to keep you entertained. There is a nearly obscene amount of children’s play parks, so during the winter months, you can bring your kids to a variety of locations to burn off their energy. 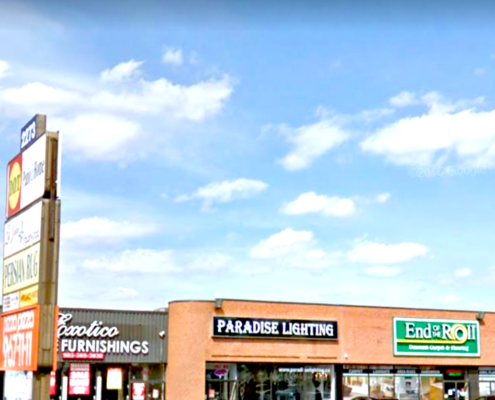 And in case you still have money to burn, the Erin Mills Auto Park offers one of the largest group of auto-dealers; the competition between makers usually gets you a better price than if you wander into a lonely auto dealer in, say, Oakville. But bring your negotiating swagger all the same. The Campus for U of T Mississauga celebrates its 50th Anniversary in 2017. In 1967, there was only 1 building but since then, the campus has grown immensely and has taught over 54,000 alumni. It resides on 225 acres of protected greenbelt along the Credit River, east of Mississauga Road. 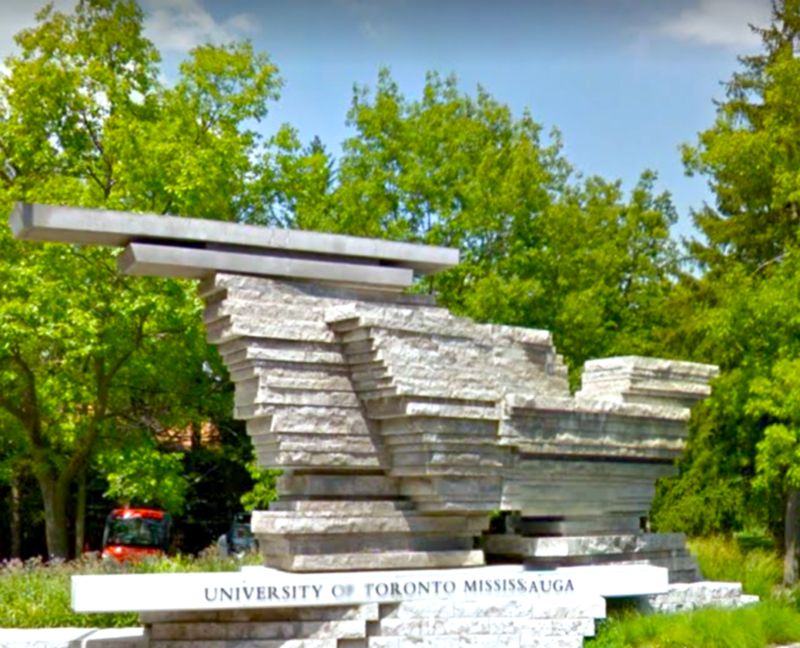 U of T Mississauga has 17 academic departments and 156 programs, offering degree options in Business Administration, Biomedics & Biotechnology, Management & Forensic Accounting, Management of Innovation, and Science in Sustainability Management. It also offers programs in the Arts, Communication, Culture and IT. For a detailed look everything the university has to offer, click to link to the U of T Mississauga website. The high school that I attended, Loyola Catholic Secondary School moved into a state of the art, newly built facility in the fall of 2012 and it is expected to have a positive impact on its ranking. As of 2012 it was already in the top 33% of all Ontario schools and I expect it to soon make the list of the TOP TEN high schools in Mississauga. If your child enrols into the Extended French Immersion Program (Grade 7) s/he can attend Lorne Park Public Secondary school which is in the top 5% of all Ontario schools. The primary schools in Sawmill Valley, Sawmill Valley (Public) and St. Mark’s (Catholic) are both very good schools. Erindale Public Secondary is just barely in the top 50% of all 718 Ontario Secondary schools. It offers all the standards of education but If you want your child to attend a top school, Erindale does not hit the mark. If your child enrols into the early French Immersion Program (Grade 1) they will then attend Clarkson Public Secondary School, which is only slightly higher in the ranking. 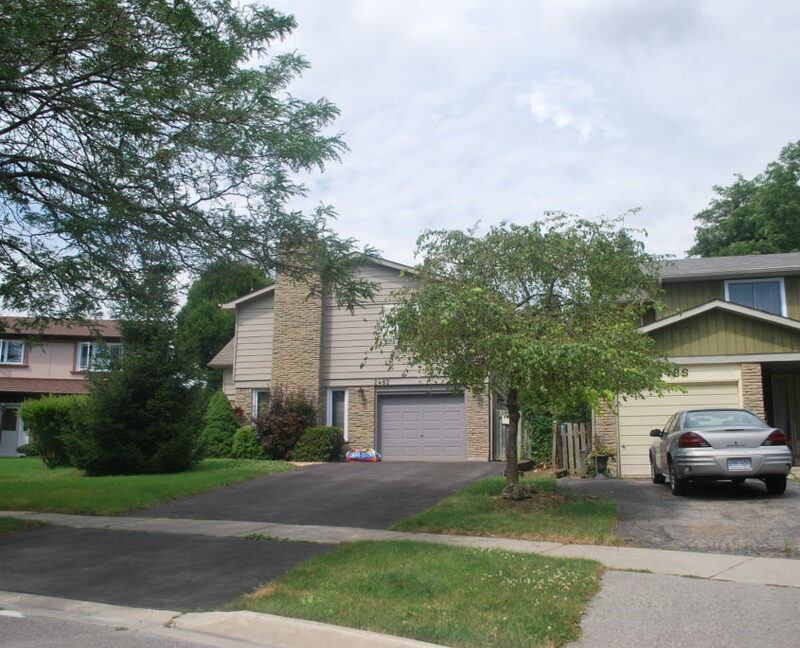 There is a wide range of prices in Erin Mills due to the mix of housing styles. There are options for first time home buyers to step onto the property ladder, such as a condo town home. 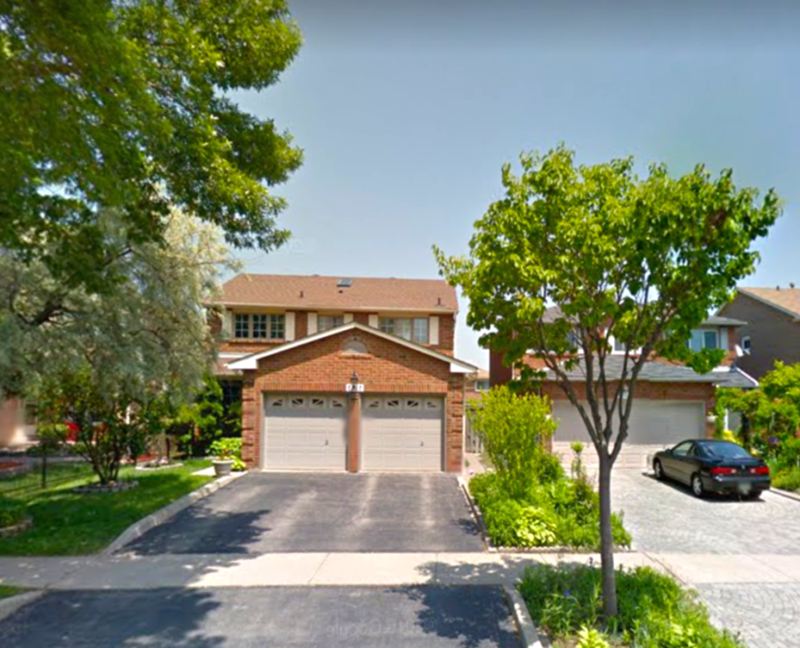 Most regular detached homes, like the rest of Mississauga have shot past the affordability range for many residents however relative to other areas of the city, it’s still less expensive. The exception to this is Sawmill Valley and Bridlepath, which have risen to truly elite neighbourhoods with elite prices as well. There is good value for the price of the average family home, since there is access to great parks, good schools, and transit. However, In the higher priced areas of Sawmill Valley and Bridlepath, the family buyer doesn’t get as much for their money in terms of amenities or schools compared other Villages at the same price point. There are still many homes that could use cosmetic updating, presenting the opportunity to add value in a fixer upper.